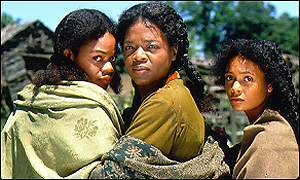 Beloved is a beautiful classic film based on the 1987 novel of the same name by Toni Morrison (she authored one of my favorites , The Bluest Eye). As with all of her novels Beloved deals with situations and experiences of those in the Black American Community. Beloved takes place after the Civil War (after 1865). This novel was inspired by Margaret "Peggy" Garner. Margaret is infamously known for killing her daughter so that she would not be taken back into slavery. 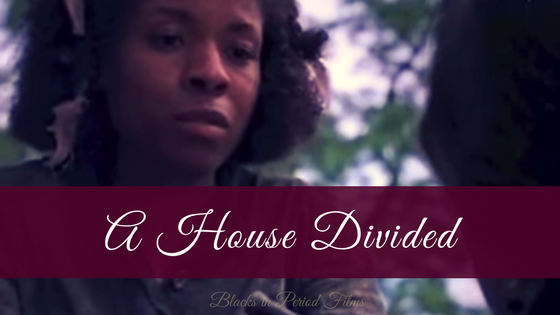 The cast is amazing featuring: Oprah Winfrey, Thandie Newton, Kimberly Elise, Danny Glover, and Lisa Gay Hamilton. They more than deliver. The costumes and locations are beautiful. Everyone's hair looked realistic and matched the period and culture of the characters. The entire time I watched the film I was completely immersed in that time period. This film was also wonderful in that it stirred up emotions and conversation. My sister, younger brother, and myself got into a debate on whether what Sethe did was right or not. I personally felt for Sethe and in a way I understand why she did what she did. I wonder if I had lived her life would I have taken the same steps. Apparently infanticide was common among slave mothers. Knowing this really deepened my viewing experience of Beloved. I wondered to myself if any of my enslaved ancestors had decided to take this step. With this historical background I feel Beloved is taken to another level. The movie can be confusing to some as it jumps from past to present quite often. Also just like in the novel, the film contains lots of symbols. I had to read up on the novel to understand some of them. I feel however that the film was still very enjoyable. I highly recommend it.